In the early hours of October 30, 2017, a fire engulfed a house at Pointyn Farm, Llangammarch Wells, Mid Wales. Six members of the family died while three children survived the fire. Dyfed-Powys Police Chief Constable Mark Collins said the dozens of officers and the fire service were faced with extremely challenging conditions at the scene in the days and weeks following the incident. He said the nature of the fire was so intense, the scene presented significant difficulties in respect of the recovery of remains and took considerable time. “But the family were the absolute priority for all partners working at the scene from the very beginning, and the dignified and respectful recovery of all the deceased within the property was always the focus of their endeavours,” he added. A ceremony was held at the Dyfed-Powys Police HQ to recognise the actions of police officers and staff as well as staff from partner agencies including the Fire Service, Army, HM Coroner, Home Office Pathologist, UKDVI, Powys County Council and Cellmark Forensics. Chief Constable Collins said: “Everyone displayed bravery, professionalism and a commitment to duty during a difficult and challenging incident when five children and their father tragically lost their lives following a fire at their home in Llangammarch Wells, Powys. I would like to extend my personal gratitude to all the award recipients for the courage shown and their achievements are a reminder to us all of the level of work, effort and support provided during and following this tragic incident. “Additionally, I am very aware of the tremendous support given by family and friends and recognise the important part they play in the lives of today’s recipients to enable them to continue to provide a first class service to the community. In traumatic incidents such as this, Their support can make all the difference. Dave Cuthbertson, 68, died in the blaze alongside children Just Raine, 11, Reef Raine, 10, Misty Raine, nine, Patch Raine, six, and Gypsy Grey Raine, four, after flames engulfed their property while they slept. 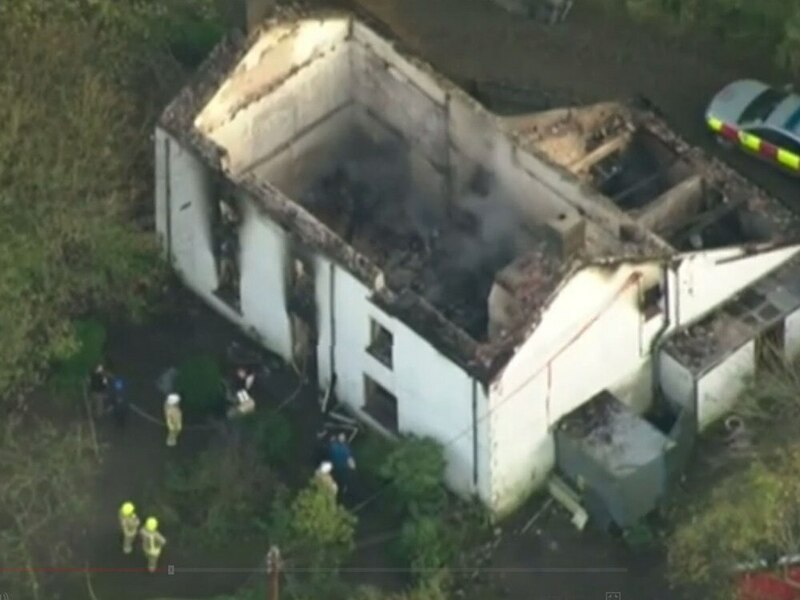 An inquest into their deaths heard investigators have so far failed to find out what caused the fire due to the devastating damage to the farmhouse at Poityn Farm in Llangammarch Wells, Powys. Leaf Raine, Mr Cuthbertson’s 13-year-old daughter, managed to escape the blaze after being woken up by smoke filling her room and hearing her father’s shouts for her and her siblings to flee. For a full list of those recognised click here.